Test...Quiz...Exam...How do these words make you feel? For many, the mere mention of them is enough to conjure up feelings of anxiety, stress and pressure. You don't often hear people say, "I LOVE taking tests." 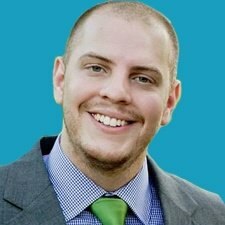 At AIIM, we know tests can be downright scary. But, we also know the power of preparation and understanding. A lot of times fear comes from the unknown - in the case of a test, not knowing what to expect, not knowing if you're prepared, and just overall fear of failure from not knowing enough. With Halloween taking foot for many here in the United States at the end of the month, we thought it would be the perfect time to help take the scary out of our Certified Information Professional (CIP) exam. 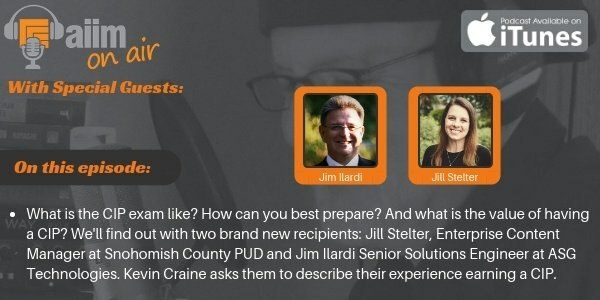 On this podcast episode, host Kevin Craine focuses in on the AIIM CIP program with Jill Stelter, Enterprise Content Manager at Snohomish County PUD and Jim Ilardi Senior Solutions Engineer at ASG Technologies. Learn about what the CIP exam is like, how you can best prepare, and the value of having a CIP.Most importantly, you'll learn how the Certified Information Professional Exam is nothing to be afraid of.